Do you need more money to become financially stable? But, you don't have a lot of time and money to invest? Skillhance members get access to cutting-edge training courses and passionate support communities that help them start a side businesses more quickly and easily. 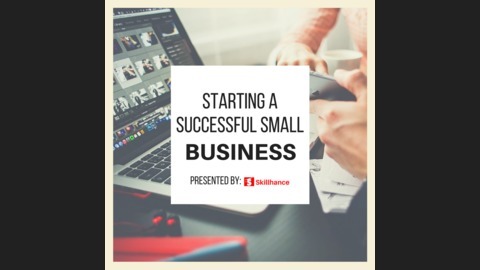 This show provides somethings you could need to start and grow a home business. We've discovered principles, strategies, and technologies that produce real, measurable business results — without the expensive costs. How do you measure success or failure? How much they profit per month. 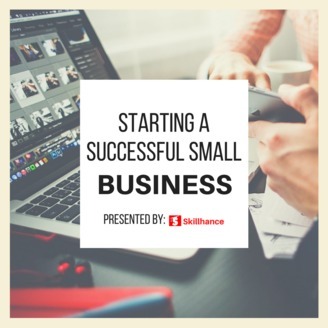 How much it cost to start, grow, and maintain the business. How much time and effort it took to start, grow, and maintain. Podcasting is an excellent way to connect with a focused audience in a very professional manner. It’s an inexpensive way to say what you want to say, when you want to say it to people who want to listen. Start building a podcast, today. All you need is a microphone, editing + production software, and a broadband internet connection. Podcasting also allows you to cut through the noise that exists on the internet and find a targeted audience that is focused on your opinions, products, services, art, etc. Let’s face it, you can’t communicate your message to people who may need to hear what you have to say unless you can pinpoint who these people are. Podcasting allows you to accomplish this. Finally, while reading a blog is fine, hearing someone speak is even better. Podcasting allows you to add the warmth of a human voice to your message. Your voice becomes a way to build trust even faster with your target audience.